Following my recent post, Easy vSwitch & PortGroup Setup I thought I would give PrimalForms a go and create a quick GUI, PrimalForms is a great app from Sapien which allows you create form based windows for which it gives you the PowerShell code, this means no install and yet the users still get a great looking GUI. It turned out pretty good, even if I do say so myself. What it doesn’t do at the moment is copy any of the custom settings for the vSwitches or PortGroups. This is still very much a V1 and it will be added to, I hope to include other areas such as the NTP servers, advanced host configuration etc, if you have an idea then please add it to the comments and I will see what I can do. To see this in action please check out the below video, this script can easily be run straight from the PowerCLI prompt also. vProfiles from Alan Renouf on Vimeo. Guys, this worked script, if you have only one vswitch vSwitch0 on ESX 5.1 , and you need only transfer ports groups. P.S. Waiting for v2 of this script -Alan. It wouldbe awesome if it did have dvswitch support – we have a mess of dvswitches and we have to consolidate a lot of things right now. Hopefully I can figure something out. I had the same as above, removed the switches and re-run, it works OK. It seems that it does not like if you pre-create switches. Hi Al, like Mark I’m unable to run this against an ESX 4 update 1 host. It gives the error ‘The argument cannot be null or empty’ just after enumerating the virtual switches and trying to create the first portgroup. If I find time I’ll try to dig into the code myself but I’m no Virtu-Al! 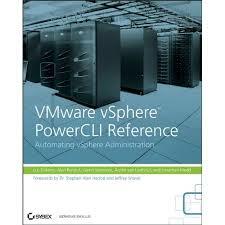 To be honest I didnt try it on vSphere but will do now, It should work, unless of course you are using dvSwitches ! This script seems to mushroom cloud when run against vSphere. Are there any specific requirements? DNS and Routing: populate domain and DNS servers from source host? Thanks Kenny, anything you think would be useful to add let me know ! This is very awesome Alan. Fantastic work on this!! !